Look below to see photo's of our store. Yes, we really have all of the inventory that we show. Call us TOLL FREE at 1-888-253-8880, or locally 216-252-8880. 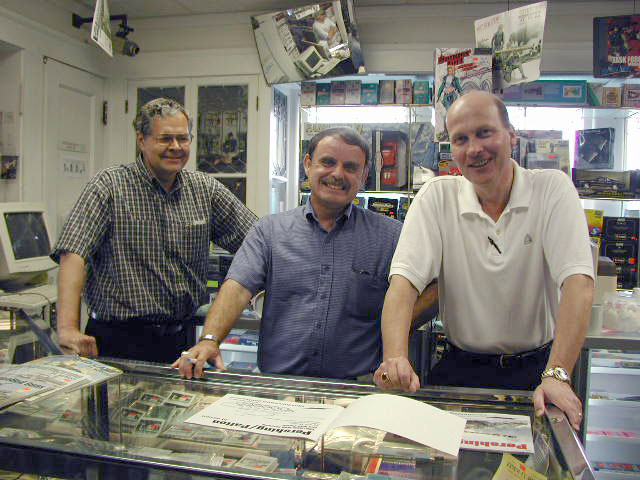 We have a store, in Cleveland, 25 years, and remain committed to our customers. - Dragon - Elite Brigade"
Phone your order in! Talk to a real person in Cleveland, Ohio, here in the USA. 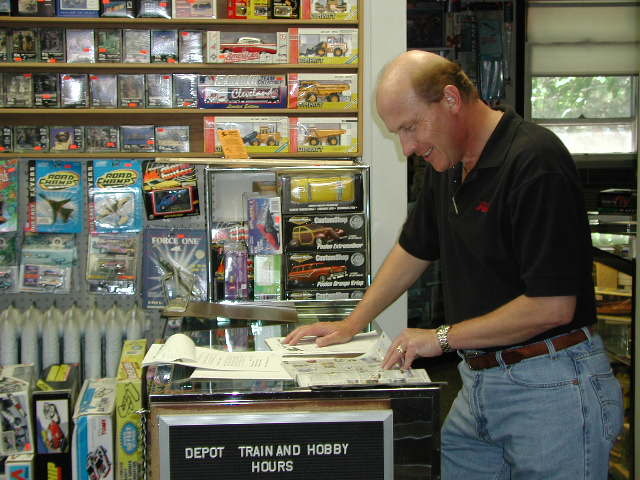 We can verify that it is in stock, while you wait..
CLICK here to see how our 2002 Zoo Train Layout was produced. Notice: "We are not having a display at the Zoo this 2006-07 season." Stop at our store to see the selection of LGB trains we have for sale! We were featured in an interview with "Crains Cleveland Business on the web" for Dec.14, 2005. Following are a few web pages from that day. Photo 1, 7, 8, 10. We have restocked some armour and aircraft kits, and plenty of paint, adhesives, and hobby tools. 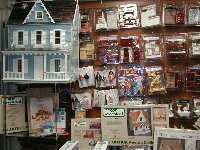 We just got some new items for dollhouse collectors. If you are not a customer yet, now is the time to stop in!!! WE STOCK "N", "HO", "LIONEL" and LARGE SCALE "G" trains, track, and accessories. 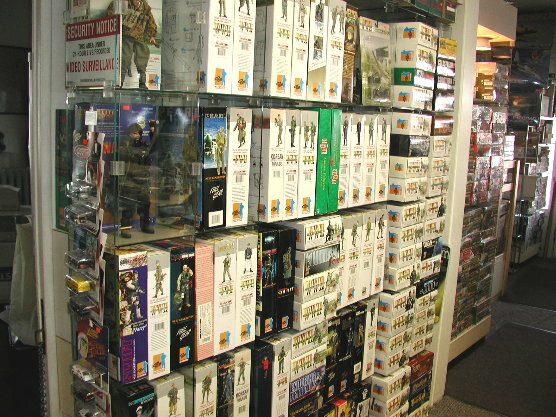 WE STOCK 100's of Plastic Model Kits! Always a new restock of paint. We know how important paint is to your project and try our best to have it for you consistantly. If it is stocked by Walthers, Horizon (Athearn), MMD (Squadron), or Great Planes (Tower), I can get it for you! We order from them every week. "Stop in to see what's new." 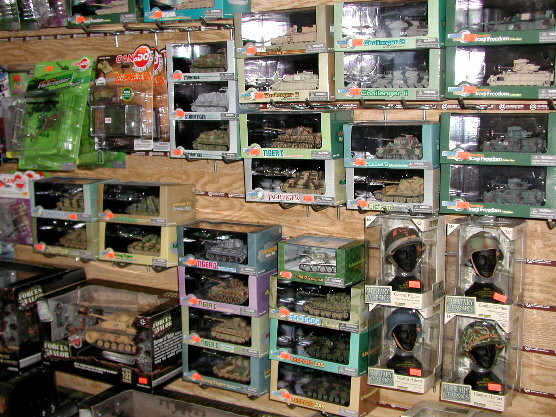 NEW STOCK OF Plastic CAR MODELS , MILITARY vehicles and AIRCRAFT Kits. CHECK INVENTORY (listings are at right top of page) . . . for SPECIAL PRICES! 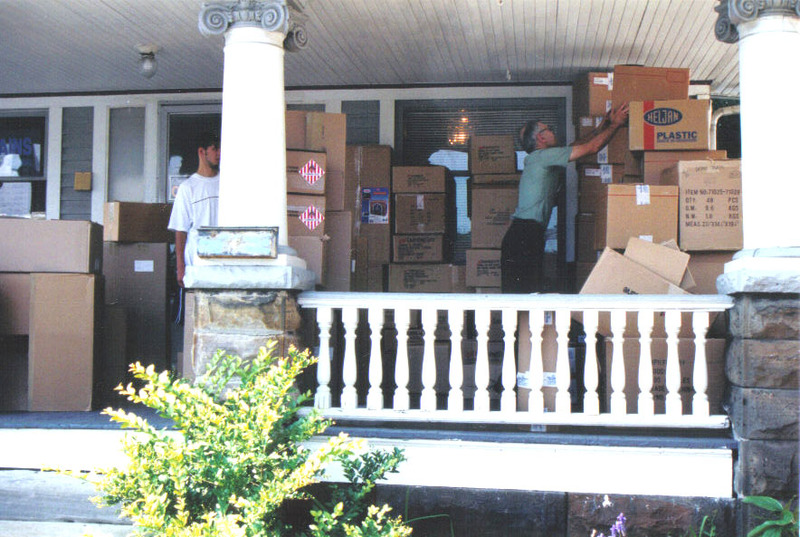 "Many new items are arriving, so little time . . . and stuff coming in every day. So, here is a look inside Depot!" This is just a portion of our Military / Armour Department. 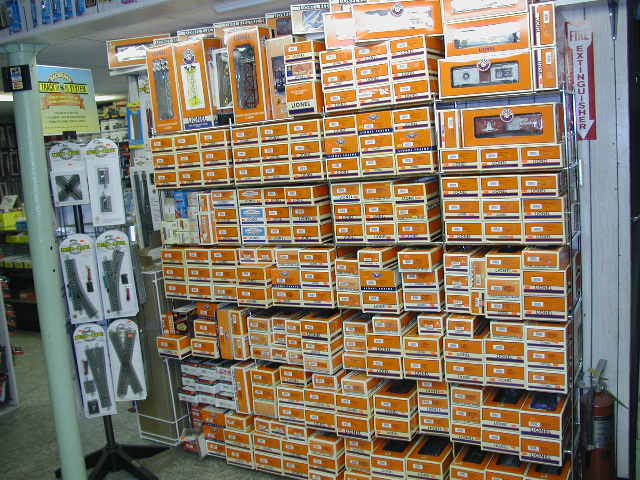 We stock nearly every kit from AMT, Revell/Monogram, Polar Lights, and Lindberg. 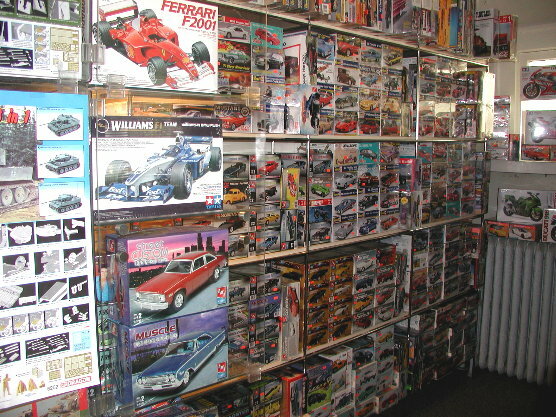 We also stock many kits from Tamiya, Testors, and Revell of Germany. 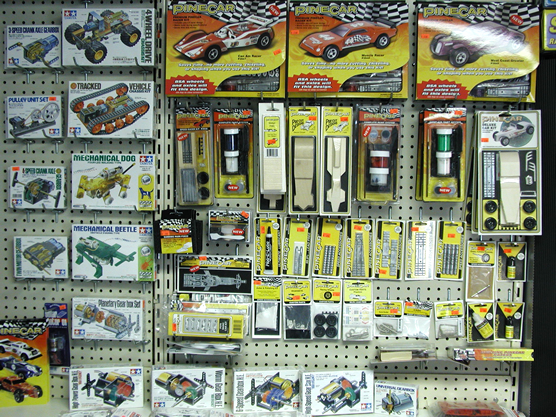 We have PineCar kits, and various other Project and Educational items. If you are looking for something for a School Project, chances are we have it. From Gears & Wheels, to Planets, and Rock Tumblers, we have the Science Kits to make your little "Einstein" shine. New items, in aircraft and military, come in weekly. 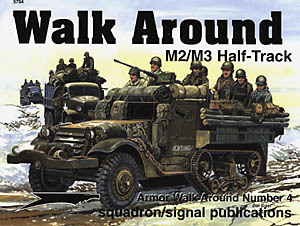 We had a book signing here with author, Jim Mesko on Saturday, November 27th, 2004, introducing the new Squadron book, M2/M3 Half-Track Walk Around. $14.95 msrp. Sale priced at $12.50 (Item SQU 5704). Coffee, donuts, & refreshments. A great day, everyone had fun, on a casual kind of day. We have furniture, accessories, wall and floor coverings, as well as paint, and paper adhesive.
. . . . . . . . . . . YOU BET WE DO! At Depot, we typically stock thirty wooden ship models . . . from entry level to professional mantle pieces. If you are looking for a sailing ship to build, you can find it here. If you are local, place your Walthers order with us, pick it up here, and avoid shipping charges. Just Arrived . . . WALTHERS Monthly Flyer . . . We currently stock for your convenience. If you do not get it by mail, stop in for your free copy. We sell all Walthers Specials at the sale price, when you mention the ad at time of order, or check out. 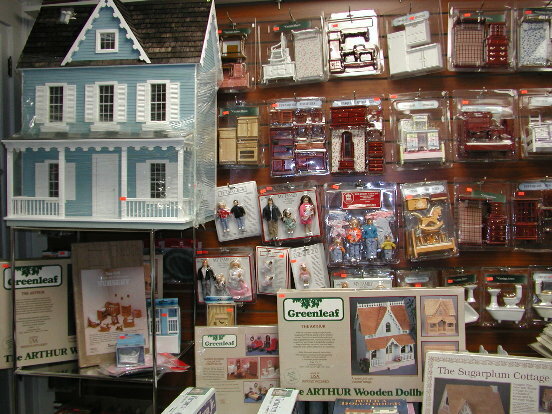 New special orders from Walthers' come in on Thursday or Friday. We order every week, all year long. New Lionel comes periodically. We have: New Train Sets, Locomotives, Rolling Stock, and of course regular track & new FasTrack, and accessories . . .
We are also dealing in Williams, Weaver, and MTH train items, in stock, as well as special orders. "I WILL NEVER CHARGE YOUR CREDIT CARD FOR SOMETHING THAT I DO NOT HAVE IN STOCK." We have delivered a suspended rail system for one of our customers. As part of this project we are prototyping an affordable metal wall mounted system for Lionel and/or Garden Rail Trains. The prototype is now available to view in store. 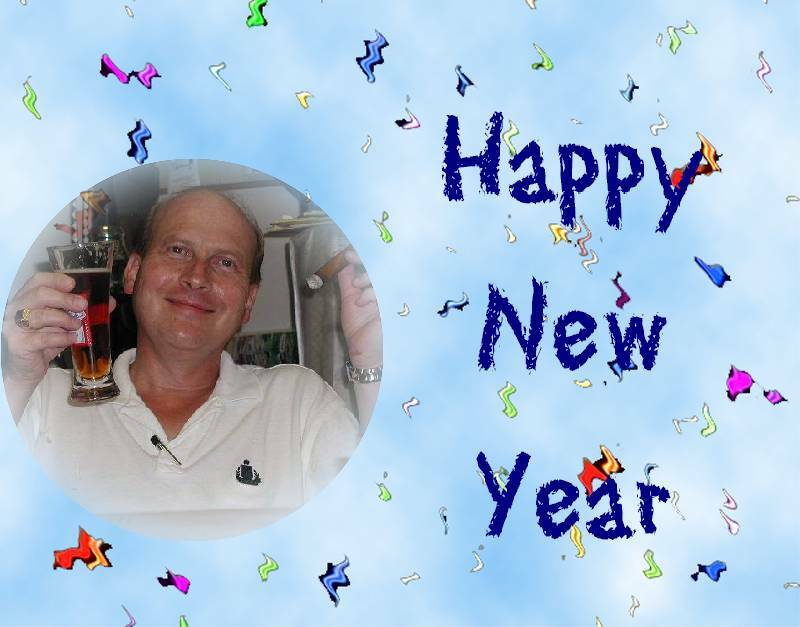 We never let our inventory run down. . . . We are in the hobby business 12 months a year, and it shows. 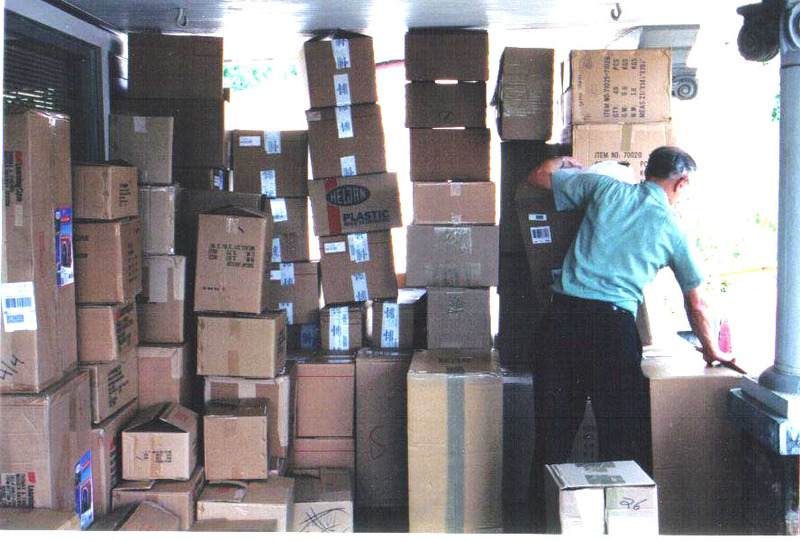 LOOK FOR THE LATEST PICTURE OF WHAT "ONE TON" OF HOBBY STUFF LOOKS LIKE WHEN IT COMES INTO A SMALL SHOP LIKE OURS! 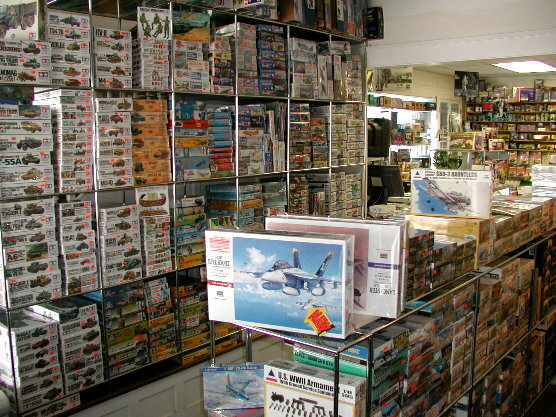 "We are by far, one of the best stocked little hobby shops on this, or any other planet!" Photo 1, Photo 2 Inside Depot Train . If you are looking for a full line hobby store with thousands of items in stock all the time, you've come to the right place!!! We stock every line we carry, every day, 12 months a year. 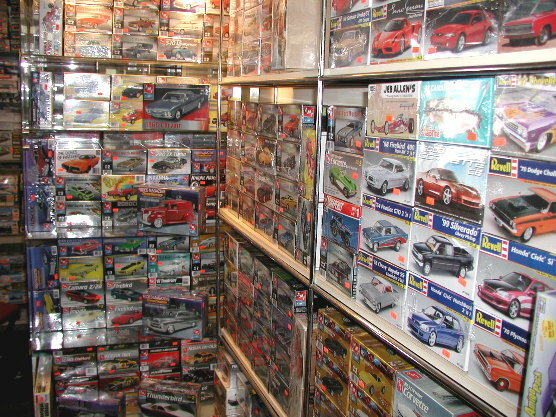 Besides our extensive train department, we boast stock of hundreds of plastic models, die cast vehicles, as well as 12" action figure "GI Joe, Dragon Models". Our Sci-fi department includes selections of Sci-Fi, & Horror, as well as "Star Trek, & Star Wars" model kits and figures. Items listed subject to prior sale. Call if you need to verify availability before ordering.